Our family dog, Baxter, passed away a week ago at the age of twelve. He was the best dog ever. My childhood wouldn’t have been the same without his constant energy and lovable character. When my parents called to share the news, they were also fairly distressed about what to do with his remains. Long story, short: my family tries to be as eco-friendly as possible, and we’ve been that way for as long as I can remember. My parents are career environmentalists, so it makes perfect sense. The family members who’ve passed away before were always cremated to avoid the ecological impact of a traditional burial. What makes this different is that a Baxter clearly couldn’t express his opinion, whereas people can confirm or deny certain wishes. Everyone had explicitly agreed to be submitted to extreme heat and reduced to ashes before dying. My mom doesn’t quite feel right about doing the same thing with Baxter’s remains, but she also doesn’t want to resort to a burial. What other options are there? Losing a beloved family pet is tragically difficult for almost everyone, especially when it’s those that survived our formative childhood. Similar to losing a human loved one, your family will need to grieve appropriately and reconcile the event both emotionally and psychologically. The process is never an easy one, but at least you’ll have the benefit of sharing the turmoil with your family. That isn’t necessarily the case when you lose a personal pet with no other significant human attachments. Coping with reality in the aftermath of losing an animal companion takes a concerted effort. Take the time to collect your thoughts and emotions before making any final decisions. As for resolving the dilemma at hand, know that there’s a viable alternative building increasing traction in the US. Cremation became the first burial alternative to widespread gain popularity, but the innovations don’t stop there. Enter what’s known as Alkaline Hydrolysis (AK), which is the scientific term for what’s more colloquially known as aquamation. This avant-garde technique is much less abrasive than cremation, although the outcomes are nearly identical. Suffice it to say that the decomposition seems more humane. Your family would likely find it appealing for that reason alone. Even better is the fact that the method is much more environmentally-friendly than any of its conventional counterparts. In other words, exploring dog cremation by way of aquamation might be the best of both worlds. That being said, the practice is still relatively novel, which means finding facilities that specialize in it might be more difficult than finding those that cater to more traditional methods. Fortunately, because aquamation is but a fraction of the price charged by crematoriums or funeral homes, the prospect of traveling farther to do so shouldn’t be a dealbreaker. You’re still likely to end up net positive. 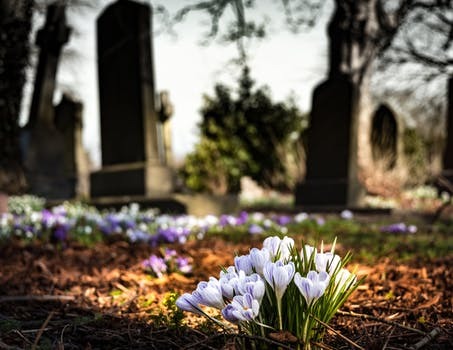 Deciding what to do with Baxter’s precious bodily remains won’t be as straightforward as it sounds, but with careful thought and consideration, your family can most definitely reach a favorable outcome.